Mantra Crown Towers, Surfers Paradise is located in the heart of the Gold Coast, just 100m from the beach and offers an exciting and memorable holiday experience. With spacious living areas, gourmet kitchens and a choice of one, two or three bedroom apartments, this Gold Coast accommodation is sure to please. All our Mantra Crown Towers apartments feature large balconies with views of the surrounding city and each offers round the clock entertainment with cable TV. Onsite we have a range of leisure facilities and activities, with a lagoon style pool complete with sandy beach, pirate ship slide for the kids and a heated indoor pool for those cooler months. At Mantra Crown Towers, Surfers Paradise we have all bases covered including dining, offering a distinct restaurant onsite. Chiangmai Thai, a multi-award winning restaurant, offers some of the best Thai food on the Gold Coast. Our location just five minutes from the centre of Surfers Paradise means you are just minutes’ walk from some of the best shopping in the city with everything from discount stores to designer boutiques. 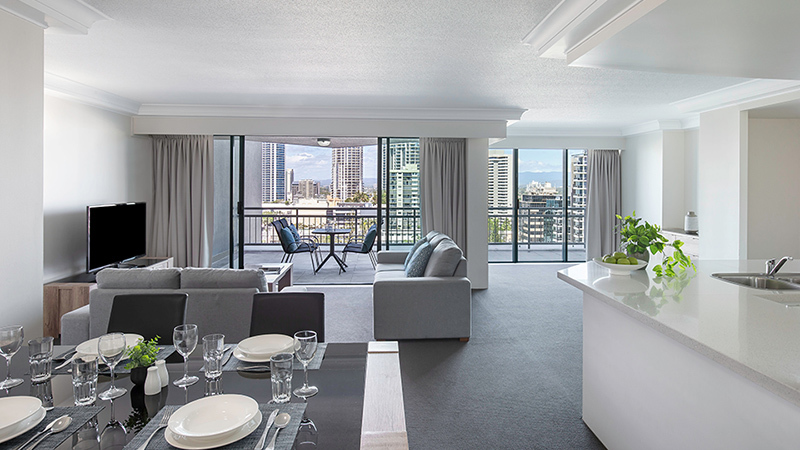 Take a walk to Cavill Avenue, the main strip of Surfers Paradise to dine at the many bars and restaurants on offer, or visit the famed Gold Coast theme Parks with Sea World only five minutes from the resort. 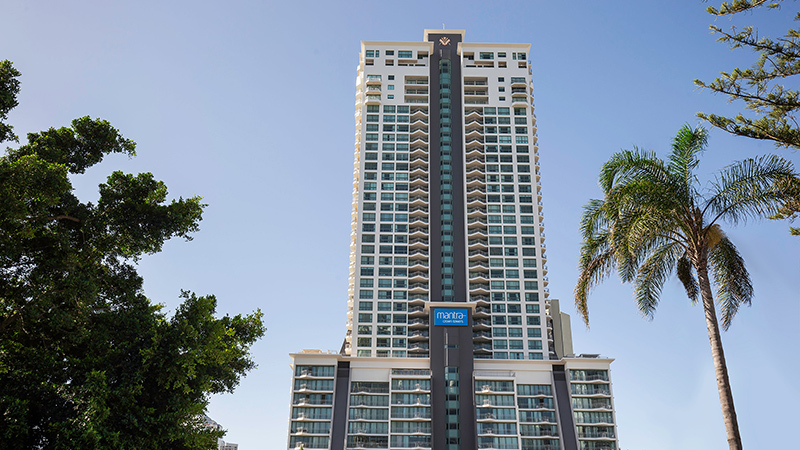 We are excited to announce that Mantra Crown Towers is currently undergoing an extensive external repaint of the property with a fresh, new colour scheme which will modernise the appearance of the resort in keeping with the Surfers Paradise skyline. The program is now underway and is expected to run through until approximately May 2019. We expect there to be minimal disruption to our guests experience whereby access to balconies and parts of the recreational facilities may be restricted between the hours of 7.00 am and 3.30 pm from time to time. We do apologise for any inconvenience, and ask that you contact our friendly reception team should you have any queries. Mantra Crown Towers has a strict NO PARTY POLICY and is enforced to ensure the comfort of all our guests. Our Surfers Paradise resort features spacious, self-contained one, two and three bedroom apartments, all with private balconies and many with ocean views. 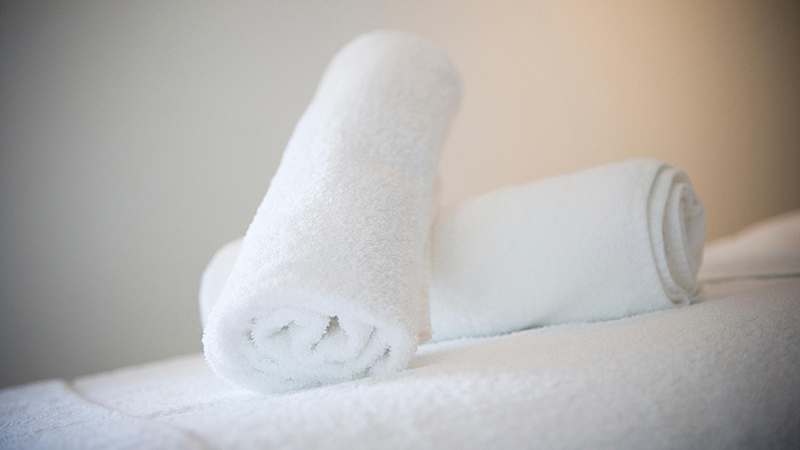 Make some me time and pamper yourself at our onsite day spa, Calmer Therapies. With beauty and revitalising bodywork treatments available, you will be left feeling like you're floating on air.